Upton on Severn used to be a port, as well as the only river crossing for many miles. Today, there is a flourishing marina on the east bank, and Uptons historic prosperity can be seen in its variety of delightful old buildings, including pleasant places to eat and drink and a wealth of shops. 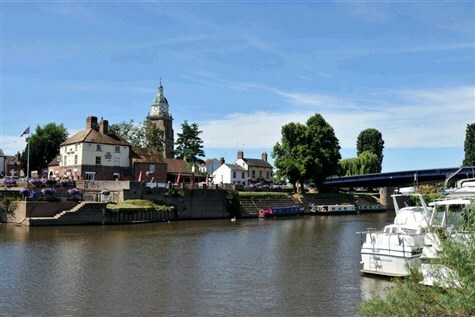 Tewkesbury is an extraordinary riverside town. The Abbey has been at the centre of the towns history for centuries and continues to play an important role today. The John Moore Museum is a nature lovers dream, the origins of the Old Baptist Chapel and Court date back more than 500 years and a market has been held in Tewkesbury for centuries, a tradition which continues today.